When you make a gift to the library, it goes right to work to help provide some of the many services and programs available to the public year round. 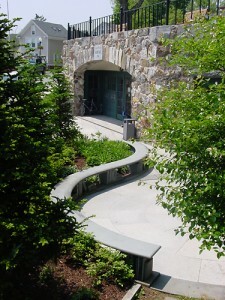 The library is the heart of the community, with over 680 programs available to the public each year. To learn about what’s happening at the library, you can click here, sign up for our online newsletter, The Underground, or stop by the library – we are open 7 days a week. The Millay Society recognizes individuals and businesses who support the future of the library with minimum unrestricted donations of $1,200 per year. These donors will take up the mission of ensuring a solid base of support for continual improvement of library collections, programs, and the grounds of our Harbor Park and Amphitheatre. 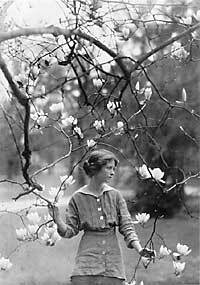 The Millay Society is named in honor of Edna St. Vincent Millay (1892-1950). Millay, raised in Camden, was the first woman to win the Pulitzer Prize in poetry. Her life and her poetry are celebrated examples of freedom and individualism. 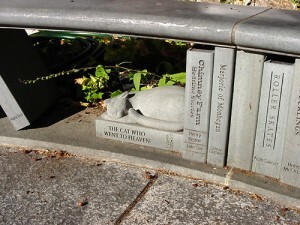 Millay was committed to intellectual pursuits and the liberation of ideas – ideals kept alive at the Camden Public Library. Members of the Millay Society receive a monthly newsletter and special mailings about library events. In addition, Millay Society members are invited to literary events and to help plan for the library’s continued growth and community responsiveness. Most importantly, Millay Society members will have the benefit of knowing that they are supporting the Library to help ensure its continued place as a cultural and intellectual center of Midcoast Maine. The Camden Public Library is much more than the place you borrow a best-seller or see a film outdoors in the summer. It’s the center of public life, a place where residents and visitors from all over the world get a sense of the very thing that makes our community so special. You might know that we are a Five-Star Library – one of the top 85 libraries in the nation. You might *not* know that we are currently underfunded, causing the library to take extraordinary measures each year to overcome a serious budget gap. The library is working hard behind the scenes to fill this gap and prevent the need to cut services, hours, and staff. The success of this effort will dire ctly impact our ability to create young readers, foster lifelong learning, and sustain our historic building and parks. If you would like your library to be fully funded and remain our center of public life into the future, please make your gift today. be a vital part of this campaign and have a visible legacy of your commitment to our town’s shining treasure, a place where generations to come can read the names of generous contributors like you, the names of people you love, or any messages you would like to leave behind. Each red brick is 4 X 8 X 2 ¼ inches and will be sandblast engraved in Helvetica font. Donors have up to four lines of 21 characters per line (including spaces and commas) to memorialize their donation, their loved ones, or a special message. You may remember a loved one, celebrate an event, or honor a friend by contributing to Camden Public Library. A memorial gift is a thoughtful way to honor the life and legacy of a loved one. An acknowledgement note is sent to the family. Tribute gifts may be made in honor of birthdays, anniversaries or other special occasions. A library Book Plate will be placed in each item added to the collection. Books generally cost between $25 and $50 each. A note is sent to the honoree, letting them know of this special gift. 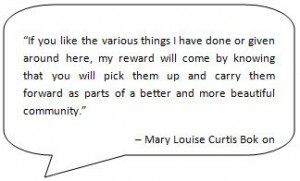 Community member and philanthropist Mary Louise Curtis Bok had the vision that was instrumental in creating the Library, the Amphitheatre, and Harbor Park in 1928. When you Leave it to the Library, you will be part of this tradition of community giving. We are grateful for planned gifts as your expression of loyalty, confidence, and support. 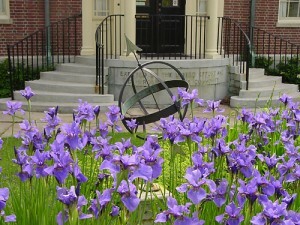 Please call or contact Marketing & Development Director Jenni Parmalee at (207)236-3440 or jparmalee@librarycamden.org. 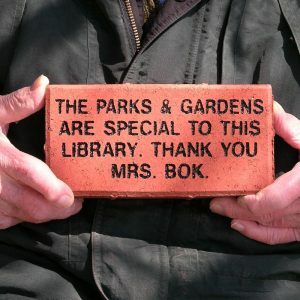 The library is grateful for those who recognize the library as a worthy of a bequest gift. If you’d like to help build the long-term financial strength of the Camden Public Library, your solution may be a charitable bequest. Gifts to the library through your will or trust can support your personal goals of supporting Camden Public Library into the future. Make a gift and create an annuity income for yourself or a loved one, with the Camden Public Library as the beneficiary to receive the residual. Designate the proceeds of an insurance policy to the Camden Public Library, or transfer ownership of the policy to the Camden Public Library at a designated date during your lifetime. 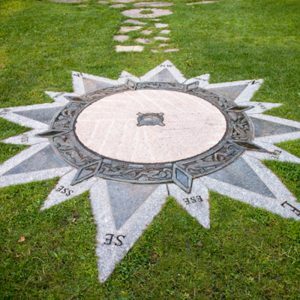 There are several ways to gift real estate, whether outright or deferred, as part of your estate planning. Gifts of value such as antiques, art, cars, coins and securities are sold or auctioned upon receipt to benefit Library programs and services. Name the Camden Public Library as a beneficiary through your IRA, your 401(k) or other retirement assets. You can maximize your gift to the Camden Public Library through a matching gift from your employer. Many businesses will match gifts made by their employees, retirees, etc. Please check with your employer to inquire about their matching gift policy. Give the gift of your time and talent to the Camden Public Library by helping with collections, book sales, mailings and special events. Please contact us–at info@librarycamden.org or (207) 236-3440–to find out about the many ways that you could help. The material presented in this website is not offered as estate, legal, or tax advice. Please seek the advice of your legal, tax and/or financial advisor(s) to make certain a contemplated gift fits well into your overall circumstances and planning. Camden Public Library follows the Model Standards of Practice for the Charitable Gift Planner, which you can find online at pppnet.org.